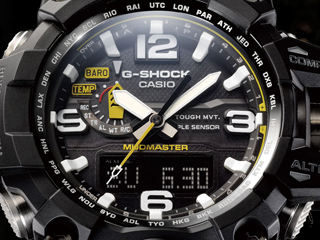 G-SHOCK’s S Series truly pop with charisma and as with any G-SHOCK watch, legendary toughness. Designed for the influential, fashion forward woman seeking sporty fashion accessories to compliment her contemporary style, whether taking a fitness class or attending a fashion show. 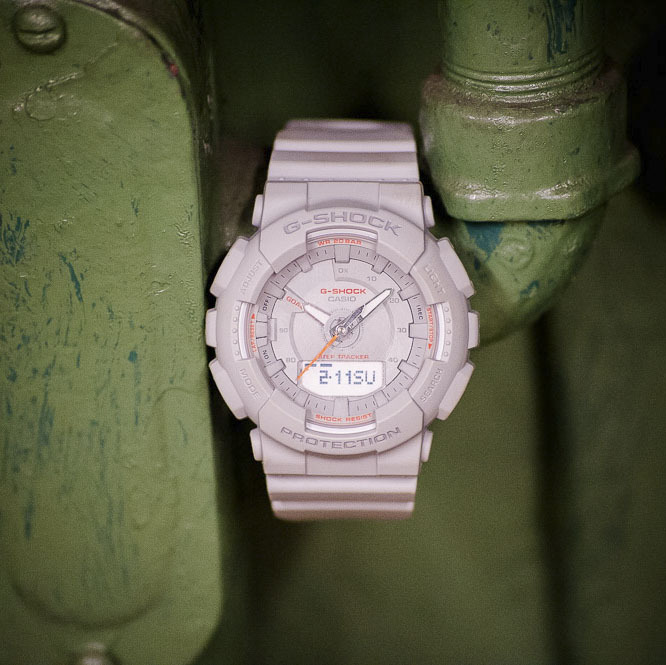 Stylish and durable for everyday use. 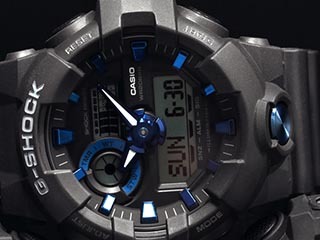 Based on the design of the highly popular G-SHOCK GA110 case, the GMAS130 models offer smaller face design, large analog dial and small, singular digital dial in a selection of attractive colors popular for both street and fitness wear, ideal for women who prefer a unisex look but don’t want to sacrifice the classic G-SHOCK style. 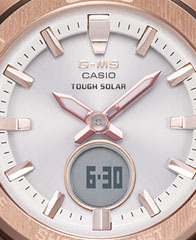 Starting with a sports concept, the GMAS130 models grew into a versatile line, packed with advanced functions for the woman of today. 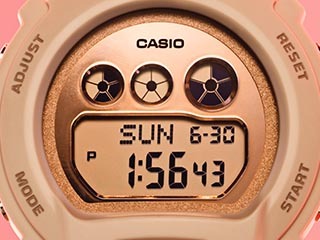 Designed to support users with a well-planned daily health program, these watches indicate progress towards step goals, the number of steps taken per hour, as well as a Step Reminder feature that use an indicator and an audible alert for inactivity within a specific time frame. 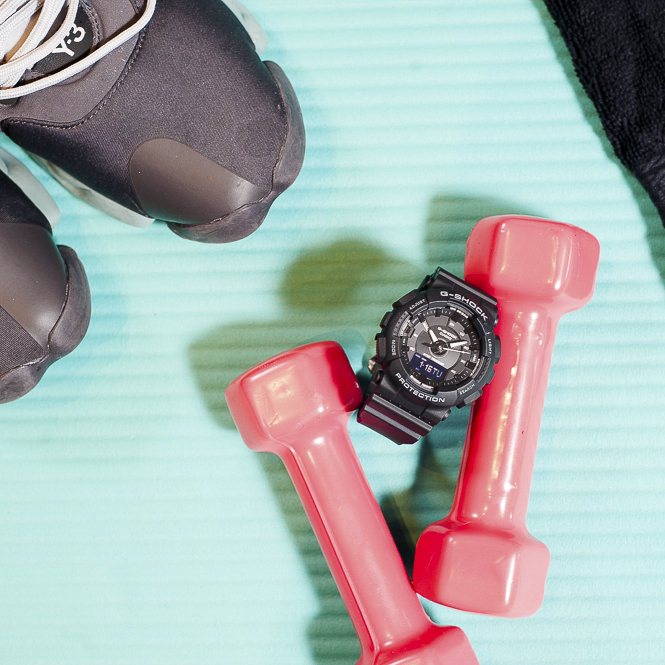 With fitness goals in mind, the GMAS130 collection is pedometer-equipped. 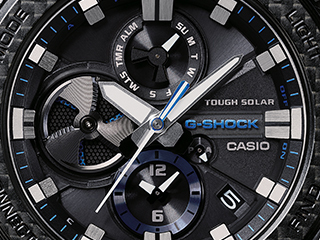 These Step Tracker models possess a three-axis acceleration sensor—an element that has never appeared in a S Series model before —that automatically counts steps as soon as the watch is strapped to the wrist. 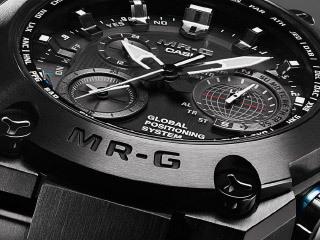 Whether wearers walk, jog, or run, movement is being logged. 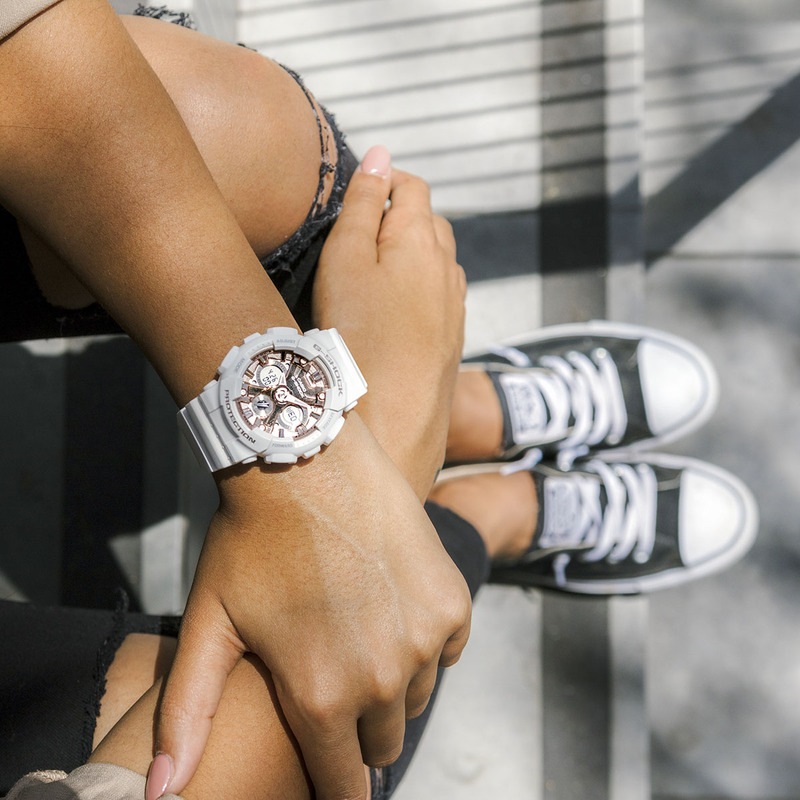 Outfitted with a resin case and band, the GMAS120 collection features metallic face accents, pastel colors and monotone styling that go great with casual fashions. 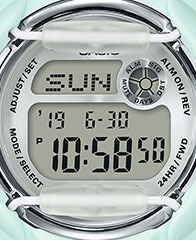 The line features shock resistance, 200-meter water resistance, auto LED light with afterglow, world time (48 cities + UTC), stopwatch, timer, 5 daily alarms, & full auto calendar.